Here is very interesting Brain Cracker Logical Riddle. 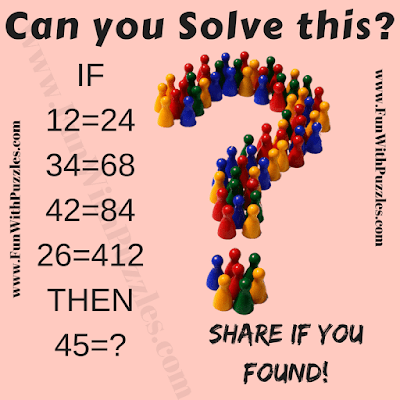 If you try to solve this Brain Cracker Logical Riddle with first three logical statements, then it looks very easy. However the 4th logical statement in the logical riddle is spoiler and will make you think out of box. Lets see of you can solve this brain cracker logical riddle? Can you solve this brain cracker logical riddle? Answer of this "Brain Cracker Logical Riddle", can be viewed by clicking on button. Please do give your best try before looking at the answer.